Nyala bull. Male nyala (Tragelaphus angasi) antelope. 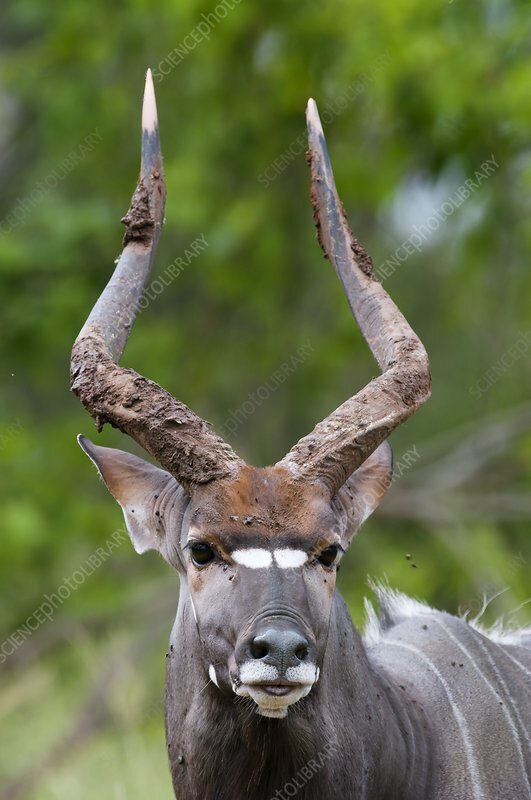 Nyala are Southern African antelope that live in dense-forest and are uncomfortable in open spaces. They are most often seen at water holes. Nyalas live alone or in small family groups of up to 10 individuals. Photographed in Kruger National Park, South Africa.